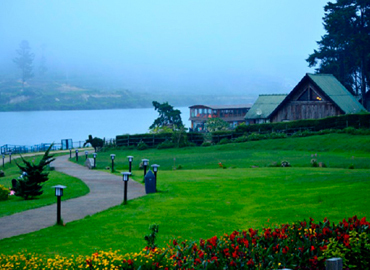 Nuwara Eliya meaning "city on the plain (table land)" or "city of light", is a town in the central highlands of Sri Lanka with a picturesque landscape and temperate climate. 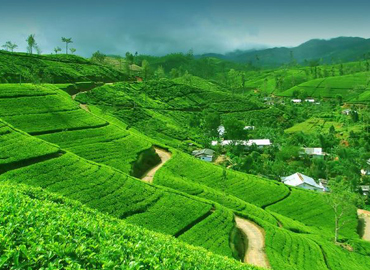 It is located at an altitude of 1,868 m (6,128 ft) and is considered to be the most important location for Tea production in Sri Lanka. The town is overlooked by Pidurutalagala, the tallest mountain in Sri Lanka. The city was founded by non-other than illustrious Samuel Baker, the legendary discoverer of Lake Albert and the explorer of the Nile in 1846. Such was the salubrious climate that in no time Nuwara Eliya became the prime sanctuary of the British civil servants and planters in Ceylon. 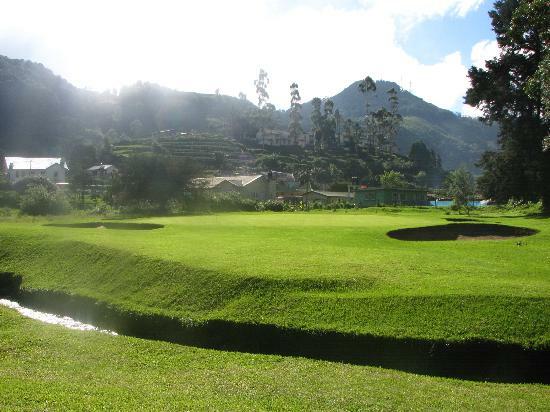 Nuwara Eliya, called Little England then, was also the ideal hill country retreat where the British colonialists could immerse in their pastimes such as fox hunting, deer hunting, elephant hunting, polo, golf and cricket. Although the town was founded in the 19th century by the British, today the whole district is visited by native travelers, especially during the month of April, the season of flowers, pony races, go cart races and auto rally. Many of the buildings retain features from the colonial period such as the Queen's Cottage, General's House, Grand Hotel, Hill Club, Town Post Office and even new hotels are often built and furnished in the colonial style. Anyone who visits the city can wallow in its nostalgia of bygone days by visiting these land mark buildings. Many private homes still maintain their old English-style lawns and gardens. Birding Sri Lanka is a Tour Operating Company specializes in Birding and Wildlife Tours in Sri Lanka and India – which also conducts Wildlife and Birding Photography Tours in both countries. Birding Sri Lanka 98/16, Thalwatta, Gonawela,Kelaniya, 11630, Sri Lanka. © 2018 Birding SriLanka All rights Reserved.